This is our final week and this week’s questions were created by Grace of Books Without Any Pictures. 1. We finally meet T’vril in his new role as Lord Arameri. Is he what you expected? Actually yes. He didn’t get too Arameri but he’s ruthless when he needs to be (seems not as much as his Arameri kin would like). 2. Oree is given a choice, to live as the Arameri’s weapon, or to die. What would you do in that position? I always like to think I would choose the higher path. But I love living. That said, I’m not sure if I could live with other peoples/godlings lives on my hands. 3. Do you think that Oree made the right decision by sending Shiny away? How do you feel about Yeine’s role here? Yes, but it seems Shiny was expecting it. I think Yeine made the best out of the situation, salvaging what she could without breaking anyone’s tenuous connection to sanity. 4. What did you think of the ending of the book? Were you satisfied? Well, at several points I was worried it was going to go into direction I wasn’t going to enjoy but it all ended up rather well. I knew there was no chance of a happy ending for Shiny and Oree, he has much more to learn and live through before he can start being whole. 5. 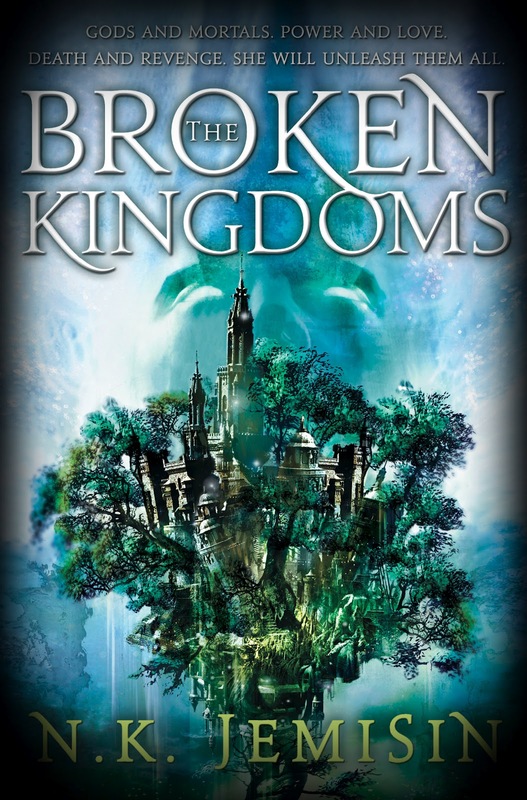 How did The Broken Kingdoms compare to The Hundred Thousand Kingdoms? Which did you like better? 2. I also think that it’d be easier to choose to live, but you might regret it if you make it possible for the Arameri to do something horrible. Yes, that second question really was a difficult one. I would like to think of myself as being moral and taking the right road but honestly, I’m not sure. I too think it would be hard to live knowing that your spilled blood could kill immortals….and that the ruling family had now hesitation in using your blood. ‘breaking the tenuous connection to sanity’….Yes, Yeine had to try to keep everyone sane. Maybe that is why the brunt of the sadness has to be carried by Oree because she is the most grounded, the least likely to lose it, and if she lost it, she would be unlikely to destroy the world, or a chunk of it. That is very true that this is a book about life. I like that Oree has to deal with every day stuff – like working, cooking meals, house cleaning. Her love and loss are just as real as those of the gods, godlings, and ruling Arameri, but she handles it all with such finesse and way less drama.